Accompanying the reveal was Soldier: 76 using a small den-den daiko, or whirling drum, in either an upcoming emote or highlight intro. The large drum from the Busan map also shows the Year of the Pig logo. With Lijiang Tower, a map based in China, having gotten a Lunar New Year make-over in the past, it could be assumed that Busan, a map based in Korea, could be getting a make-over as well, given where this holiday is celebrated and that the video shows off bits and pieces of the Busan map. With the new event, naturally comes new cosmetics as well for certain characters. Each Lunar New Year, Overwatch had made a focus in a specific theme of East Asian culture. In 2017 it was based on the folktale Journey to the West, in 2018 it was mythical creatures found in lore, and this year it’s based around historical figures during the early Eastern Han Dynasty. Reaper is dressed up a Lü Bu. Lü Bu was a general that eventually became a traitor to the warlord he was under, killing both the warlord and a fellow general. How fitting for Reaper’s character, who is seen as a traitor to Overwatch. With the iconic two feathers flowing out behind him that Lü Bu wore into battle, this red-themed skin is sure to send some warnings. Hanzo is adorning the look of Huang Zhong, a general under warlord Liu Bei. Huang Zhong was best known for his victory at Battle of Mount Dingjun in 219. Huang Zhong had a very distinctive and memorable beard, and was an archer in his lifetime. While Hanzo’s beard doesn’t quite match that length normally, the bow and arrow does. Reinhardt takes on the role Guan Yu. Guan Yu was also a general under warlord Liu Bei, and went on many excursions with the warlord himself. Guan Yu had a beard as well, one that competes with that of Huang Zhong. Having been one of Liu Bei’s longest and most loyal general, it only makes sense to align that with the loyal and aged Reinhardt. Torbjorn is rocking the hairstyle of Zhang Fei. Yet another general under warlord Liu Bei, Zhang Fei was also Guan Yu’s best friend. He was the one of the generals that helped Liu Bei win the battles from Eastern Han to the Three Kingdoms. Zhang Fei was well known for his pole-arm as a weapon rather than a self-building turret. But given Reinhardt and Torbjorn’s long-time friendship, the role makes sense. It is possible, that with the theme of Liu Bei’s three generals, Liu Bei will be one of the cosmetics for another character. Who it is is still up for debate, but it would keep with the current theme. 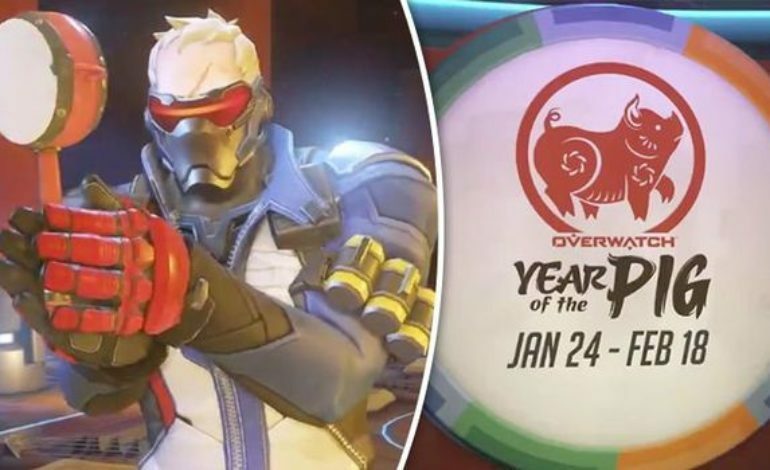 Overwatch’s Year of the Pig Lunar New Year Event will be live January 24-February 18, 2019.